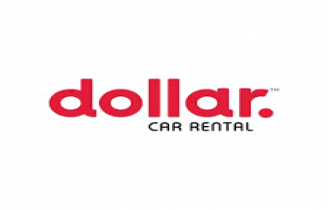 Who is Dollar Car Rental ? Dollar Rent A Car was founded in 1965 in Los Angeles, where its executive offices remained until 1994. In August 1990, Dollar was acquired by Chrysler, which made it part of its Pentastar Transportation Group, Inc., along with Thrifty Car Rental. In August 1994, Dollar relocated its world car rental headquarters to Tulsa, Oklahoma. In November 1997, Chrysler sold Dollar Thrifty Automotive Group, Inc. (DTG), successor by merger to Pentastar, in a public offering on the New York Stock Exchange. In November 2012, Hertz Global Holdings, Inc. (NYSE: HTZ) acquired Dollar Thrifty Automotive Group, Inc. Hertz Holdings, through its subsidiary The Hertz Corporation (“Hertz”) operates its car rental business through the Hertz, Dollar, and Thrifty brands from approximately 10,460 corporate, licensee and franchisee locations in North America, Europe, Latin America, Asia, Australia, Africa, the Middle East and New Zealand. Hertz is the largest worldwide airport general use car rental brand, operating from approximately 8,960 corporate and licensee locations in approximately 150 countries. All official headquarters of Hertz, Dollar, and Thrifty were relocated to Estero, Florida in 2015. Together with its corporately-owned locations and those of its franchise owners, Dollar Rent A Car has approximately 570 locations in 61 countries including approximately 260 locations in the United States and Canada with a significant presence also in the Caribbean and Latin America.